Afraid of a “chaos” in the harvest season, perhaps? The Ministry of Education and Science announced that it will conduct the aerial survey of 23 prefectures (out of total 47) to determine the level of soil contamination. For some reason, Hokkaido is excluded, but every prefecture from Aomori to Shiga, which is located about in the middle of the Honshu Island will be surveyed. 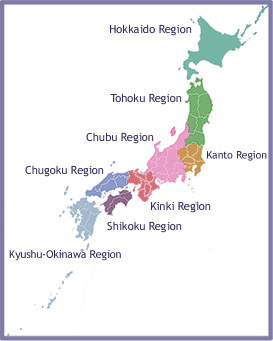 It’s all of Tohoku, Kanto, Chubu-Hokuriku. Guinea Pigs: Children In Fukushima To Be Given Regular Cancer Tests … Instead Of Necessary Evacuation!